Todor Pelev’s public performances started at early age in his native Bulgaria after capturing the gold medal of the most prestigious national competition. 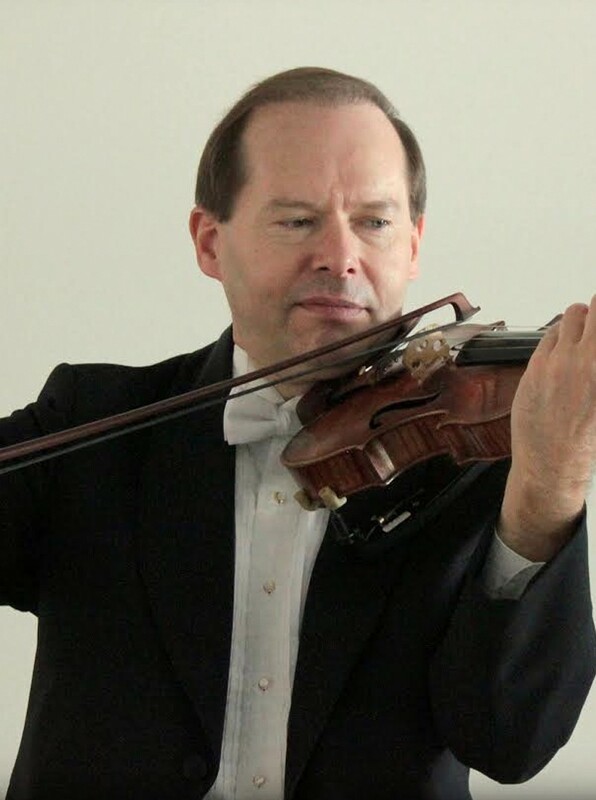 Dr. Pelev attracted international attention when he was awarded the silver medal in the Wieniawski International Violin Competition, second only to the famed Russian virtuoso Viktoria Mullova. Subsequently, he was invited to present concerts in Poland, Hungary, Italy, Russia, and soloed with major European orchestras. After personal invitation to study with Dorothy DeLay at Juilliard, Todor relocated to the United States and won the American Contemporary Record Society Competition, followed by repeated solo appearances with the National Symphony at the Kennedy Center, also with the Aspen Concert Orchestra, where he played the Brahms Violin Concerto on three days notice as a substitute for Midori, and with other major orchestras. He has appeared also with the Baltimore Symphony at the Carnegie Hall. Todor has soloed several times at the Dorothy Chandler Pavilion at “The Green Umbrella” concert series and was featured as a soloist at the 70th anniversary celebration of the distinguished composer John Cage. He has presented numerous recitals and participated in radio and television broadcasts in Bulgaria, Poland, Hungary, Taiwan, Japan, Italy, Russia, Canada and in the United States, where his life performances of music by Mario Davidovsky were broadcasted nation-wide on public television. He has performed at the Aspen (Colorado), the Tidewater (Maryland), the Mackinaw Island (Michigan) and the Rome (Italy) music festivals, and has participated in chamber music concerts with members of the Cleveland, Takash, Vermeer, Sequoia String Quartets, An die Musik, and principals of the Chicago Symphony, Los Angeles Philharmonic, San Francisco Symphony, among others. Dr. Pelev has collaborated with many noted contemporary composers, giving first performances of some of their music, such as Mario Davidovski, Mel Powell, Morton Subotnick, John Cage, performing as a soloist, or as a member of the avant-garde contemporary music ensemble the Twentieth Century Players (now New Millennium) as a faculty member at Cal Arts. He has always had interest in all music genre and has played in concert with Kenny G, Wynton Marsalis, George Benson and Ray Charles, also on his last two CD recordings. Todor’s violin studies began at age of 5 while studying with Tatiana Krusteva and later at the Bulgarian National Conservatory with Boyan Lechev – a protégé of David Oistrakh, After graduate studies with Dorothy DeLay at Juilliard, Dr. Pelev was invited for his doctoral studies with Donald Weilerstein at the Eastman School of Music, while serving as his teaching assistant, where he won the Eastman Concerto Competition and was granted the Performer’s Certificate. Todor Pelev has been a concertmaster of the Baltimore Opera, Riverside, South Bay and Redlands Symphony Orchestras and is presently serving as a concertmaster of the San Bernardino Symphony and the Redlands Bowl Orchestra. He has been a faculty member of the California Institute for the Arts, the University of Redlands, the Pomona College and the Claremont Graduate University. His former students include winners of national and international competitions, concertmasters of important orchestras such as the London, New Haven, Hong Kong, Cleveland Circle Opera, Boston Civic Symphony, and college/conservatory professors. He has been a jury member of national and international competitions, and has presented numerous masterclasses, most recently at the Eastman School of Music, UCLA and the San Francisco Conservatory. Todor has been performing on several important violins such as the “Ex-Willmotte” Stradivarius, the “Ex-Paganini” Landolfi and the “Ex-Constable” Bergonzi, featured on the recording “The Glory of Cremona”.